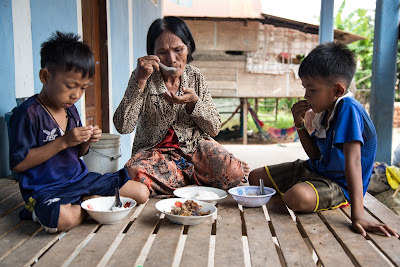 Bunloeum and Phanet eat at home with their grandmother Souy. Siem Reap Province, Cambodia, September 2017 – It’s an overcast morning in this north-western province, with the sky consumed by a dark grey cloud. 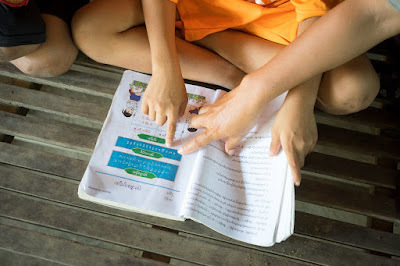 Pradak School is located in rural Siem Reap. Its facilities are basic; with one classroom being no more than an open-sided barn containing desks and a whiteboard. 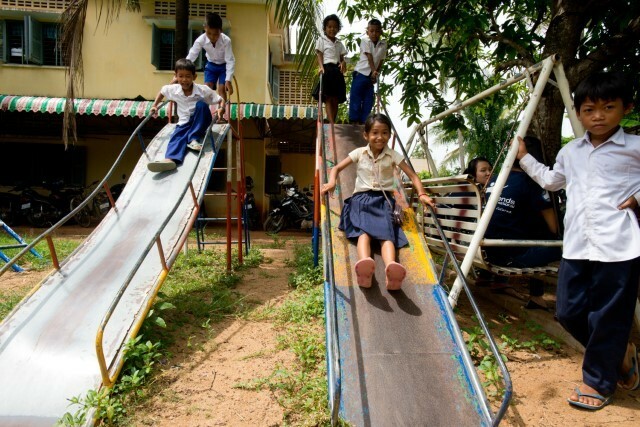 The surrounding land has no playground for the children and the site lacks suitable toilet facilities and running water. 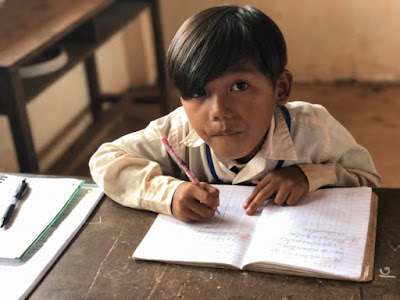 Siem Reap Province, Cambodia, September 2017 – Mok Pen commune is located in rural Siem Reap, where the resorts and attractions of the provincial capital are replaced by rice fields. It is home to a family whose lives have been dramatically changed by migration. Four-year-old Bopha and her six-year-old brother Sopheak play on the land surrounding their traditional Khmer home – a small, wooden building, consisting of an open kitchen and a living space that doubles up as a bedroom. Phnom Penh, September 2017 — Davin* is a 22-year-old young woman training to be a beautician at Mith Samlanh, a UNICEF partner. Growing up in a notorious drug-infested slum in Phnom Penh, she lived with her parents and two sisters in a one-room, wooden shack with a metal roof. Her mother sold second-hand clothes at a nearby market, and her father worked in construction. 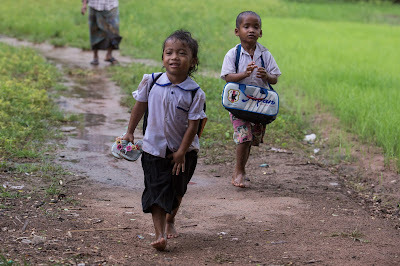 Together, they earned approximately 15,000 Riel – 20,000 Riel (US$4 – US$5) a day, just enough to send their children to school and cope with their daily expenses.